Most people don't realize that YouTube isn't the only place on the Internet where you can find valuable and useful videos. In fact, when it comes to using videos in the classroom, it can get pretty difficult to uncover videos on the massive YouTube website that are truly valuable for educational purposes, and appropriate for classroom use. Richard Byrne of Free Technology for Teachers took on this issue in his article "47 Alternatives to Using YouTube in the Classroom". In this article, Byrne lists not 10 or 20, but nearly four dozen websites that offer high-quality video content that teachers could easily incorporate into the classroom educational experience. Some of these include the highly-popular site TeacherTube - the version of YouTube made specifically with the needs of teachers and educators in mind. Those videos are created for teachers to learn from other educators - including lesson plans, classroom instruction ideas and inspirational videos. Other YouTube alternative sites listed by Byrnes includes the UK-based site Teachers.tv, Snag Films from the Snag Learning website, CNN Student News created especially with student issues in mind, and other informational video sources like PopTech and the History Channel. Once you make it through this list, you'll realize that YouTube is not really the center of the online video universe. People just think that it is. Make sure to check out Byrne's list of video sites to find which sites might help you find good video content for your classroom. Fields marked with an asterix (*) are required. Where is Alabama? Play a map quiz on the 50 US states! While up until the Internet, video consisted mostly of VHS tapes or DVD videos, with the advent of the Internet and YouTube, teachers have a much larger toolset they can use to apply informational YouTube videos in the classroom. 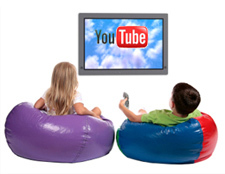 The following list is ten of the best online video websites that offer entertaining and educational videos that kids will love. If you are a parent looking for an alternative to television for your kids, or you are a teacher looking for appropriate content for the classroom, this list can help.